In this article, we will cover all methods regarding how to download and use Snapchat on Mac. Though it is not officially available, but there are still ways that allow you to get Snapchat for Mac. Snapchat is an app that is one of the rulers of the Social Media Platforms. Every day, hundreds of thousands of snaps are sent around the world. Letting you in on a secret: even we maintain streaks with at least 20 different people. With people being so addicted to the app, it’s only fair to want to use Snapchat on your Mac. Sometimes you want to send a snap over from your MacBook instead of your phone, but don’t know how to. That’s okay because you have come to the right place. Snapchat is not available on the App Store straight away for use, but it can be used on Mac by mainly two methods: with or without the use of Emulators. Usually, users are more comfortable with emulators as they are simple and easy to use, and serve all the functionality you want. There is also a method without emulators but involves a third party application. We’ll be going through all of these, so let’s get started! Bluestacks is by far the most popular Android emulator that exists for both Mac and Windows. Basically, you can use Bluestacks to run Android apps and games on your computer. It supports the latest Android versions and does not lag or consume too much memory. Although the emulator’s primary focus was playing games, we will be using it to run the Snapchat app on our Mac. The first step will be installing Bluestacks on our Mac. Get the installer from the Bluestacks website here. Once it is installed, run and open Bluestacks. Set up the Android device. You will also be required to sign in to your Google Account. Sign in or create a Google Account if you don’t have one. Now all you need to do is open Play Store and search for the Snapchat App. Once the app is downloaded, you will be able to find it in your list of applications in the Android emulator. In this way, you can run Snapchat on Mac using Bluestacks, sign in just as you normally would. Enjoy. Another great Android emulator that can be used to run Snapchat for Mac is Nox. 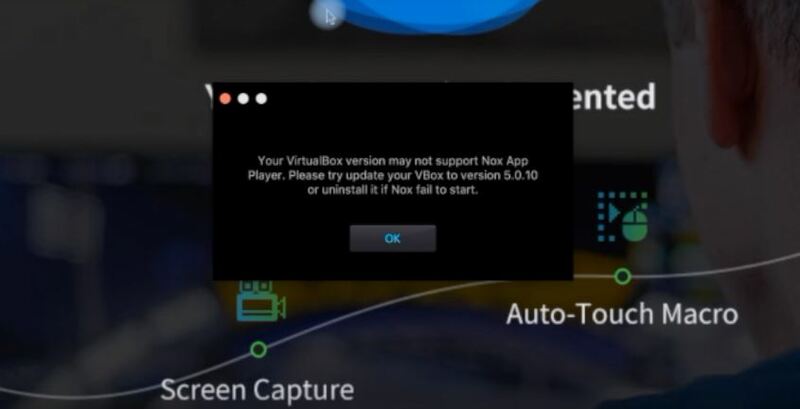 Nox’s simple functionality makes it just as good as Bluestacks to use as an emulator. It is regarded as one of the smoothest emulators out there, so you might want to get your hands on it. Let’s look at how to use it. Once the download is finished, click to open it. 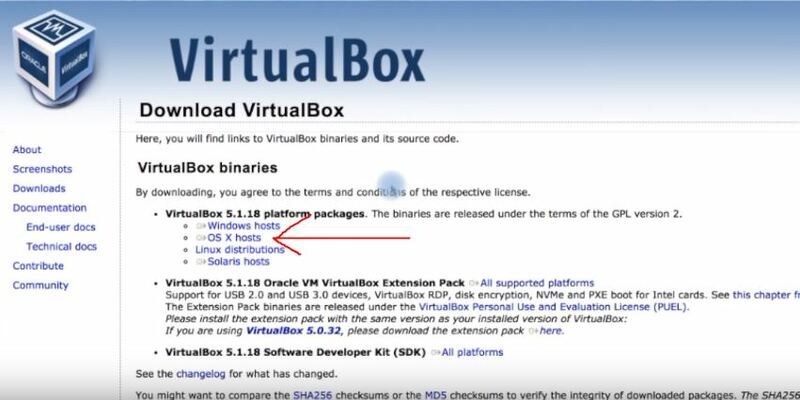 Once VirtualBox is installed properly, open Nox again. This time, it will not display the error message. 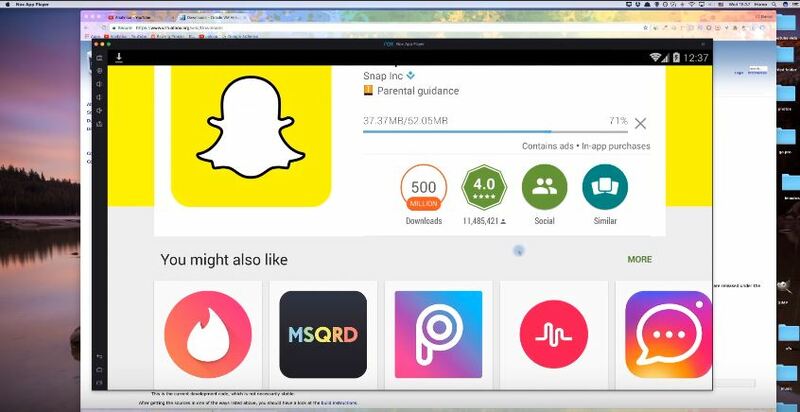 Now that Nox is launched, click on Play Store, search for the Snapchat app and install it, just like we did for Bluestacks. Now you can use Snapchat app, login and send snaps just as you do in your mobile devices, using the android emulator Nox. In this way, you can other such emulators, including Andy Player, to run android on your device and use Snapchat on Mac. If you are not using an Emulator to run Snapchat on Mac, your options get very limited. But among those, there is a very smooth and useful one, that still involves a third party application called Snappy. Let’s see how we can use it to use Snapchat on Mac. As this is a third-party application, you will need to download it from here. Login into your Snapchat account and start using Snappy! That’s it! It’s as simple as that. 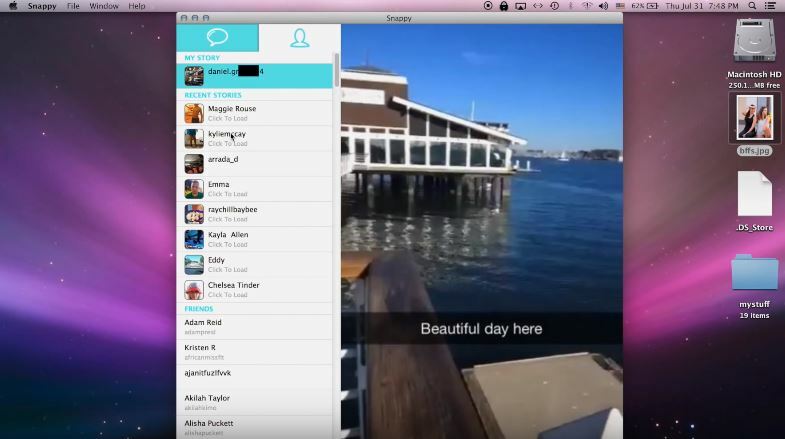 You can thus use Snappy to send and receive snaps from your Macbook. NOTE: Some users report problems with Snappy to which there hasn’t been any fix available. Go check out Snappy to see if it suits you. We hope that through this article you were able to use Snapchat for Mac and that it works perfectly fine for you. We would advise you to use emulators as they don’t have the licensing and other problems that third-party applications like Snappy do. An emulator is always desirable. Applications like Snappy tend to run out their lives within a year, and Snappy does not work or poses problems for certain users, so it is always better to have something as reliable as a good emulator. If you have any further queries related to this article or any of the Emulators etc. we mentioned above, you can drop us a comment right below and we will do our best to get back to you with a relevant answer.